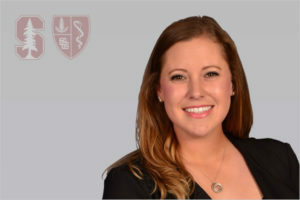 Emily Montana, a native of Mesquite, TX, joined the Stanford Athletic Training staff in February of 2018 to work with the Cardinal football team. Emily spend the past 5 years at Stephen F. Austin State University in Nacogdoches, TX where she received her Master’s degree in Athletic Training in 2015. After graduation she was hired on as a full-time staff member working with the Lumberjack women’s soccer and softball programs and was promoted to Associate Athletic Trainer in 2017. Prior to SFA Emily received her bachelor degree in Applied Exercise Physiology from Texas A&M University where she worked in the undergraduate athletic training internship program.